A classic Khmer style temple complex. This temple is build as a Buddhist temple while most of the other Khmer temples are Hindu. In the ancient times it was connected by a ancient highway with the world famous Angkor Wat in neighbouring Cambodia. Along the route were hospitals and rest houses. Some parts of this route are still visible from the air. Besides the old temples there is also the Phimai National Museum. Here are expositions about the temple restoration and archaeological excavations in the area. Close to the city centre is a big and very old banyan tree, situated in a pond. The single tree looks more like a giant forest. The local population believes that the tree is holy and has special powers. many people will bring flowers and other gifts to the base root of the tree. 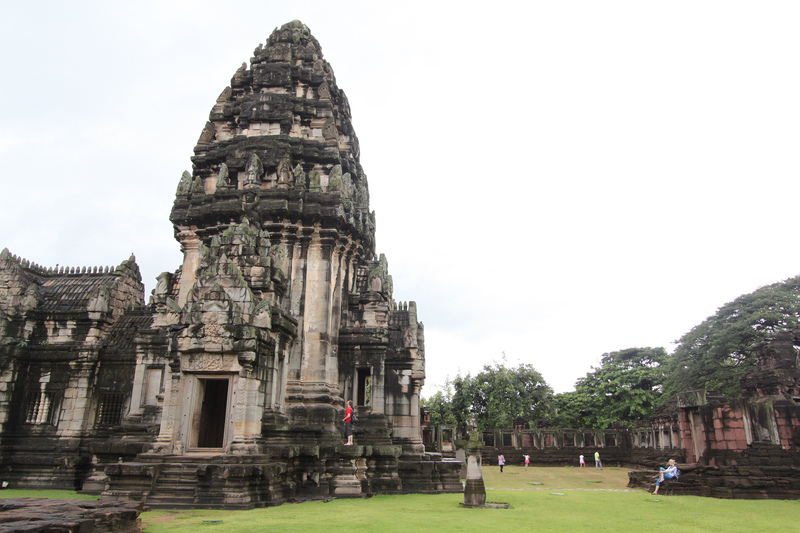 Phimai Historical Park is located 60 km north east of the city Khorat. The drive from Bangkok to Khorat takes about 3 hours and the drive from Khorat to Phima takes about 1,5 hours. Detailed travel information on www.travelfish.org. Nakhon Ratchasima (Korat) highlights by www.thailandredcat.com.